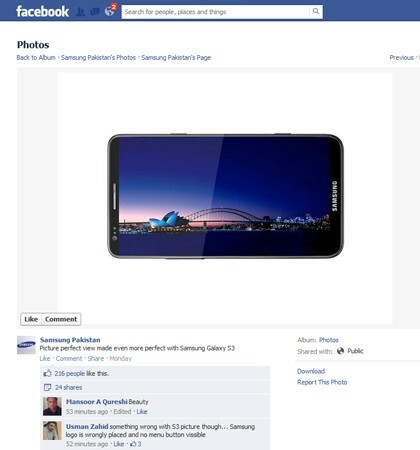 Did Samsung Pakistan just leak the Galaxy Note II? As we near the official unveiling of the Galaxy Note II, which is to be held on August 29, a few interesting twists and turns have occurred. Samsung Pakistan posted a picture of a Samsung branded smartphone thrice, the one that you can see above and removed it each time. The first time, the picture was posted with a caption as, “Picture perfect view made even more perfect with Samsung Galaxy S3” But clearly the mobile in picture is not the Galaxy S III. This made the company to remove the picture but then again a second post with the same picture and a caption “Picture perfect view made even more perfect with Samsung Galaxy Note” appeared on the Facebook page. This was again removed and the third time, the picture was posted with a caption, “Picture perfect view made even more perfect with Samsung Mobile” which now remains removed too. But now the main question is whether the picture that was posted really of the upcoming Galaxy Note II? 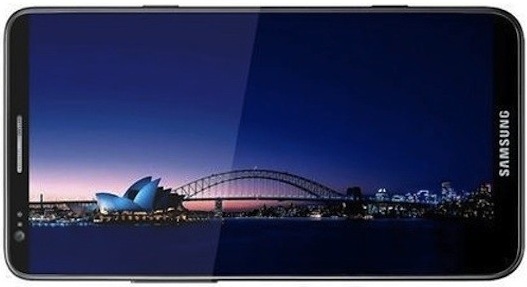 If we can recollect, the picture posted above is the same which was rumoured to be that of the Galaxy S III, before its launch and now the image has again reappeared. But this time it was straight from Sammy itself. So was it really a co-incidence or was it done intentionally and is this the Galaxy Note II? We’ll know it all on August 29.